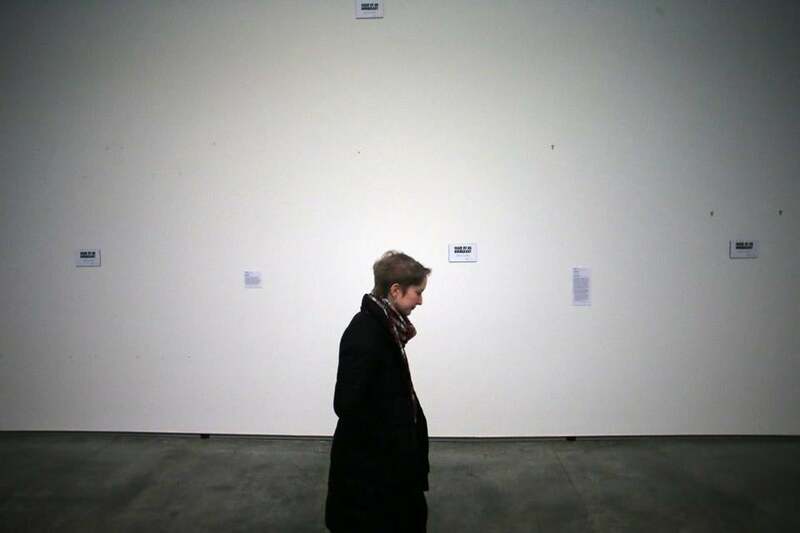 Wellesley student Margaret Justus took in the empty spaces at the Davis Museum, which stripped art by immigrants. As she made her way down Broadway in Chelsea, Marisol Santiago slowed her car and rattled off the names of businesses — a taqueria, a music store, a bodega, a barbershop, a bakery — whose owners had closed up shop as part of a nationwide strike to demonstrate the impact immigrants have on the economy. 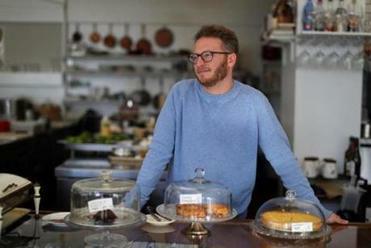 Across the country and around greater Boston, immigrant workers and entrepreneurs stayed home or scaled back their business operations Thursday for the “Day Without Immigrants” strike. Word of the strike spread in recent days on social media, vaulting it from a small boycott to a nationwide demonstration, with employees of restaurants and small businesses electing to spend the day in protest of President Trump’s attempts to build a border wall, step up deportations, and block entry of people from seven Muslim majority nations. Santiago, executive director of the worker advocacy group Restaurant Opportunities Center of Boston, counted about 15 small businesses closed in a small portion of downtown Chelsea, a community with a large immigrant population. It was a stunning number, she said, considering the strike was driven by word of mouth and social media and not organized by a specific group. What does Trump’s crackdown on immigration mean for restaurants? Those who work in the industry are speaking out, getting organized, and raising money to support immigrants’ rights. But it wasn’t just the mom-and-pop spots that closed. Throughout Greater Boston, pockets of commercial establishments big and small joined the protest. The demonstration was most noticeable in the restaurant industry, which saw notable eateries such as the chain Anna’s Taqueria, and several Sweetgreen locations go dark. Bob Luz, president of the Massachusetts Restaurant Association, said the industry employs more foreign-born workers than any other sector in the state. “The restaurant industry is the land of hope and opportunity for many immigrants in this country,” he said. Far more common on Thursday were restaurants and businesses that instead of shutting down, decided to give their blessing to employees who wanted to take the day off, notifying customers that service may be slower and food offerings more limited. Eataly Boston, the wildly popular Italian food emporium, was one of several restaurant groups that said it supported striking employees. Modelo’s Market Cafe in Somerville was one of many spots that closed for the Day Without Immigrants. “Regardless of any temporary delays we may see today because of the strike, we want to make sure that all of our employees feel that they have our support, whatever their decision might be,” officials at Eataly, which opened in the Prudential Center late last year, said in a statement. Eataly said it paid striking workers if they asked for the time off ahead of Thursday, according to a spokesman. At Cambridge Brewing Co., Thursday’s menu was limited to just three items — burgers, chicken sandwiches, and fish and chips — because the vast majority of its kitchen workers, about 15 people, decided to strike. The menu usually features 25 to 30 items. “Without our immigrant workers, this is the best we can do,” said Phil Bannatyne, the restaurant’s founder. He said that when he heard about the strike late Wednesday, he too agreed to pay employees for the hours they normally work. The picture was similar in cities around the country, where grocery stores, food trucks, coffee shops, diners, and taco joints in places like Chicago and Los Angeles shut down. The heart of Philadelphia’s Italian Market was quiet, and high-end restaurants in New York, San Francisco, and the nation’s capital closed for the day. In Washington, the Pentagon warned employees that several eateries, including Starbucks, Taco Bell, and Burger King, were closed because so many employees had stayed home. ‘‘Businesses cannot function without immigrant workers today,’’ said Janet Murguia, president of the Hispanic rights group National Council of La Raza. At the Trade and Porto restaurants in Boston, managing partner Sean Griffing said most of his kitchen staff — about 20 employees between the restaurants — were on strike for the day. To help keep the restaurant open, off-shift waiters and bartenders, along with friends and family, staffed the kitchen. The husband of the restaurant group’s human resource director worked the prep line. “If it were more than a day, we’d be in trouble,” Griffing said. The restaurant group felt it was important to support the workers, and also to explain their absence to customers by distributing notes to diners as they sat down. “Thank you for your patience and understanding as our extended Trade family volunteer[s] to work in their place,” the letter read, in part. In Chelsea and in other communities around the state, restaurants were just one type of business that closed its doors. Daniri Fernandez, owner of CD La Prima Market, a Latin food market on Broadway in Chelsea, estimated that she lost about $1,600 in sales by not opening. 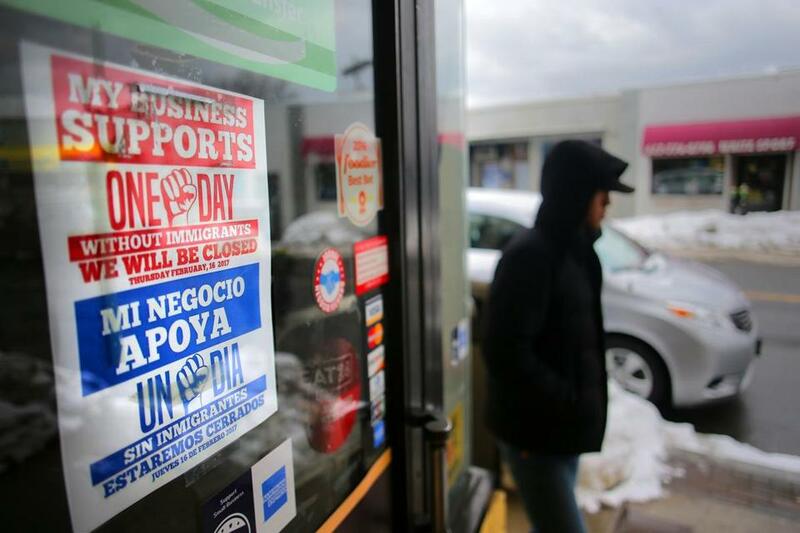 Fernandez’s husband, Cristian Padilla, also closed his auto body shop in East Boston. Mildred Soto, owner of Broadway Studio next to La Prima, said she would probably lose as much as $3,000 in sales at her photography and video business. She and her five employees, all immigrants, went without pay. But she said the decision was an easy one, meant largely as a sign of support for her many customers who hail from Mexico and El Salvador. Material from wire services was used in this report. Katie Johnston of the Globe Staff contributed reporting. Adam Vaccaro can be reached at adam.vaccaro@globe.com. Katheleen Conti can be reached at kconti@globe.com.